PORSCHE STANDS BEHIND OUR MILITARY. With McConnell Airforce Base located squarely within the Wichita area, we are no strangers to military families needing assistance in vehicle sales, service, or just to meet some friendly faces and learn the lay of the land here in Wichita. From employing current and former military members, to participating in sales programs specially designed for our active duty military members, we at Porsche Wichit are proud to serve those who have served our country. Are you a member of the National Guard, Reserves, or Navy stationed here in Kansas? 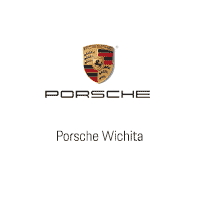 Porsche Wichita can assist you, whether you’re permanently stationed here or will be transferred to another station in the near future. If your position is taking you out of state or country, our experienced teams will make sure to meet your needs. Porsche Wichita is proud to support the U.S. Armed Forces throughout the country, serving overseas, and especially our local military members serving us to this day!